BERLIN (AP) — Turkish President Recep Tayyip Erdogan arrived in Germany Thursday for a visit aimed at reducing tensions between the two NATO allies at a time when Turkey’s economic troubles are causing growing concerns and Europe needs Ankara’s support to keep down the flow of migrants. The trip is Erdogan’s first formal state visit to Germany, which is home to more than 3 million people with Turkish roots. But the increasingly authoritarian leader is viewed with suspicion across the political spectrum in Germany, which has had difficult relations with Ankara in recent years. It escalated in the past year to the point where Erdogan called Germany’s mainstream parties “enemies of Turkey” and accused German officials of acting like Nazis, prompting Chancellor Angela Merkel to condemn the Turkish president’s words. “Turkey is an important partner for us, and it is also an important partner for Europe,” Merkel’s spokesman, Steffen Seibert, said Wednesday. “We have a fundamental interest … in an economically and politically stable Turkey, and of course in a Turkey in which democracy is practiced,” Seibert added. He said that talks with Erdogan will address both “common interests” and difficult issues. Turkish officials’ attempts to rally support among their citizens living in Germany last year in a referendum over whether to expand Erdogan’s power caused widespread irritation, and several of their public events were canceled — prompting the Nazi jibes from Erdogan. Most damaging was the jailing of Germans amid mass arrests and firings by Turkish authorities following a July 2016 coup attempt. Germany’s foreign ministry says 35 were imprisoned on what Berlin considers political grounds. While the most prominent — including two journalists — have been released, five remain in Turkish custody. 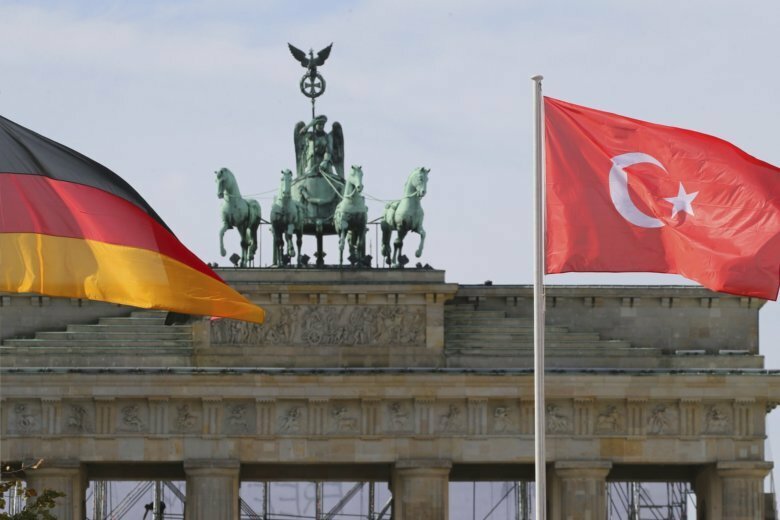 While Berlin has said the question of German aid for Turkey “does not currently arise” and emphasized the need for Turkey’s bank to be independent, it has made clear that it doesn’t want an economic basket case on Europe’s doorstep. “In such a situation, a state visit must be used to advocate clearly for all arbitrarily and innocently imprisoned people,” the organization said.